Belief systems are how we, as consumers, perceive a market or a set of product or service choices. Some are relatively consistent but for most markets this is a constantly shifting set of beliefs and perceptions. 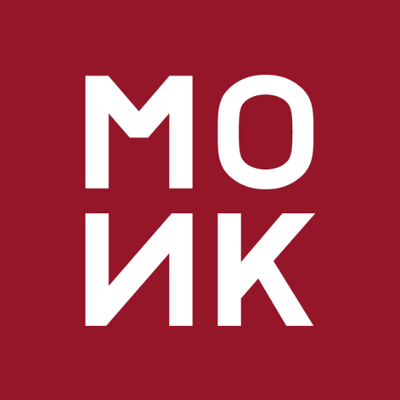 The MONK Brand Belief System is broken down into six key stages. Following these phases ensures that we have a detailed understanding of a brand, it’s market and its consumers and we can plot its course to a defined success based on understanding. This detailed knowledge then underpins our creativity throughout the key stages and ensures that we can and do refine work so that it reaches the optimum level for success. In order to shift brand perceptions we need to fully understand a brands current standing within the market. Only when you fully understand what the competition are doing and how successful they are, can you successfully outmanoeuvre them. Brand Category Insight creates an in-depth analysis of a brand’s current fundamental position in its category versus competition; this incorporates an in-depth review of competitor propositions and messaging. Customer/consumer insight is an interpretation of trends in human behaviours, which aims to increase effectiveness of a product or service for the consumer as well as increase sales. Our Consumer Insights and Beliefs phase acts as the bridge between research and marketing and highlights the crossovers that exist between consumer interests and brand features or propositions. To stay ahead in today’s challenging and ever changing marketing environment, it is important for a brand to be aware of future potential shifts before they occur. This enables them to play an authoritative role within their category, rather than playing catch-up. Overlaying current brand perceptions with consumer beliefs and brand objectives allows us to honestly evaluate a brand’s opportunities and will inform our actionable campaign blueprint. Brand & Consumer Belief Gaps. Understanding the gaps between how a brand perceives itself and how it is perceived in the market allows us to formulate a plan towards closing the Belief Gap and creating harmonious understanding and empathy. In order to do this we will spend a significant amount of time with a brand in order to gain a deep understanding for how it’s perceived internally. This work will also include SWOT (Strengths, Weaknesses, Opportunities and Threats) analysis. Gap Analysis compares the gap between a brand’s current performance against its potential performance. Typically, our work involves creating an inventory of a brand’s current state, its desired state, and a comprehensive plan to fill the gap between these two states. This analysis can yield many insights into a brand’s performance and functioning. Actions required to affect Brand Shift. This campaign may be sales focussed, it may be awareness or understanding of a message, however, once it is defined we can create a measurement to ensure we deliver the required Return On Investment (ROI). Having taken a brand through the first two stages of BASE and EVALUATE, we then carry out objective related testing which reveals actionable insights. First, develop a refined Belief System. We know what the brand blueprint is and we know what the belief gaps are, this stage then entails defining the new belief system. This is what it’s all about. It’s what people will say and share when thinking about your brand. This new belief system will then be delivered through a number of creative executions. Test, test & test again. With the depth and breadth of our experience it can be tempting to go with a gut feeling for what will work, however, if there’s an opportunity to test any work, we will. This allows us to learn and to refine, ensuring our work is as effective as possible. To this end, we will host small focus groups. These focus groups are run as structured conversations and entail us listening to people as they tell us their likes/dislikes about the proposed propositions and executions. It can always be improved upon, no mater how small. And if this refinement makes a difference, it makes all the difference. Our creativity is there to inspire conversations. Conversations that will lead to a change in understanding about a brand and its category and to shift currently held beliefs towards those that we desire. The work of the three previous stages helps to inform any decisions we make at this stage. While we develop creative concepts and executions, we will also review the most powerful and relevant channels through which to deploy these ideas. This selection is based on a balance of cost, number of recipients and response rates. Being completely channel agnostic and well-versed in all forms of communication we’re happy to follow these recommendations, wherever they may take us. This means that a brand can be assured that the media recommendation will be based purely of effectiveness and ROI. The average consumer based in London today will see 10,000 different marketing messages. Ten thousand! Not only does this mean that our work has to stand out, but we also need multi-platform communication. The days of the 30” TV ad are long since gone. 87% of consumers use more than one device at a time. Our work is constantly evolving. This is because we’re constantly tracking its performance and are refining it for optimum results. This constant evolution of work is thanks to weekly and monthly reports that detail on-going performance and highlight any areas worth closer observation. By using a variety of tools such as Keyhole, Brandwatch, Klout, Google Alerts, Google Analytics and Hootsuite, we measure and establish response rates and brand sentiment. Compared against other measurable brand results, such as sales, we are able to keep an on-going and actionable track of brand shift as it’s occurring. For instance, if we feel something is either under or over-performing, then we’ll flag this as an actionable area. Either so that we can make modifications, or so that we can up-weight the media spend. Monitoring brand shift on a daily basis is all well and good, but what makes this information powerful, is having a team poised to action changes as they’re needed. Being prepared for the unexpected and ready to evolve a campaign as it unfolds ensures maximum reach and efficiency of all our work. Every campaign is a step on a longer journey. Brand and our beliefs in them, are constantly shifting. This is an unfortunate truth. However, once you start tracking changes in Brand Beliefs, you’re better positioned to define the conversation. At the end of every campaign we generate an Objective Results Report. This ‘warts and all’ report details not only the areas in which a campaign performed well, but those areas that can be improved. It then breaks down suggestions for the future and how to best capitalise on the work that’s gone into your brand. From this report we will have generated our insights, however, these can only be legitimised once when they are merged with future plans that you may have. Any change within a category acts like a pebble in a still pond, it creates ripples. These ripples of change therefore need to be monitored because they are likely to have shifted brand beliefs, not only for your brand, but also for the category as whole. This constant evaluation of the brand and its standing within the market helps ensure you remain on the front foot, and unlike others, are setting the conversation rather than reacting to it. Beliefs about a brand are constantly shifting. Look at how our understanding and perceptions of Apple have subtly shifted over the years; from being a challenger brand, to a brand that offers function and form in perfect harmony, to what is becoming a more service centric offering. The MONK Brand Belief System ensures that our clients achieve the results their businesses demand. In many ways it is the perfect fusion of logic and creativity to ensure we create campaigns that people can believe in.